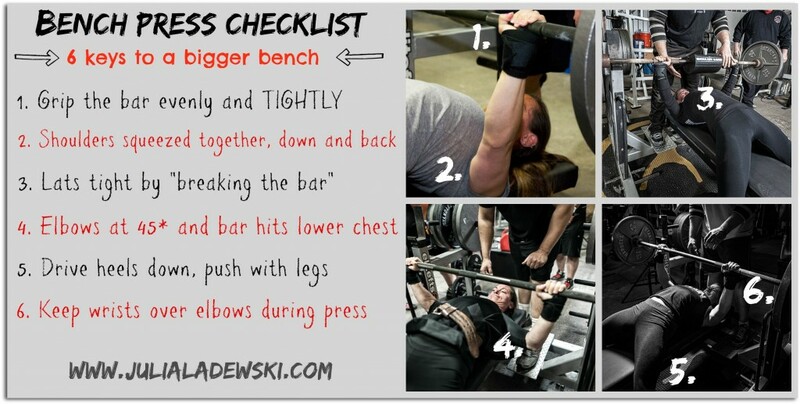 Bench press as an exercise works the pecs. Bench press as a lift requires the use of the whole body – from grip to lats to hips and leg drive. These tips work for nearly everyone. As always, take into consideration the person’s limb length, strengths, and weaknesses.